Seaports are essential to South Carolina’s growing economy, providing the gateway for interstate and international commerce. 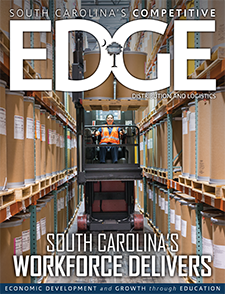 Stevens Towing Company, Inc., a midsize freight transportation company, has buoyed the region’s economic trade by serving the Charleston area for more than a century. 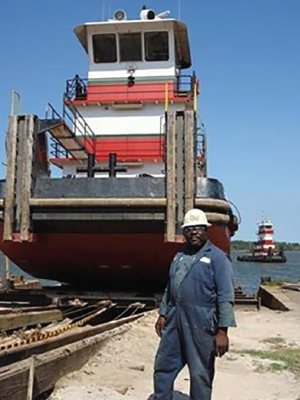 Specializing in transport, towing and marine repair, Stevens Towing provides a fleet of tugboats, barges and cranes, and a ship for all freight and construction operations. The Stevens shipyard is located 25 miles south of Charleston, and contains two marine railways, a 150-ton marine travel lift and 500 feet of dockage for topside marine repairs. Highly trained certified welders, blaster/painters, mechanics, electricians and riggers make up the experienced team at Stevens Towing. 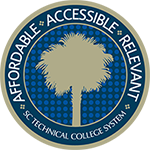 Recognizing the need to develop a continued source of skilled employees, Stevens Towing turned to youth apprenticeship through the SC Technical College System’s Apprenticeship Carolina™. Stevens established a student apprenticeship program in January 2017 at the Yonges Island shipyard. The goal of the program is to foster ties with the local community through Baptist Hill Middle/High School, and to develop a workforce pipeline through collaborative training and mentoring. Smith’s vision to create a welding apprenticeship led to bringing back William Holmes, a local, experienced welder and former employee who had retired as a shipyard supervisor with Stevens after 25 years. 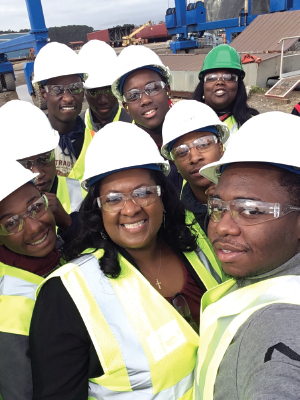 Holmes returned to Stevens’ shipyard in January 2017 to instruct the Baptist Hill students in a welding apprenticeship. He teaches the students proper techniques of SMAW “Stick” welding, GMAW “MIG” welding, grinding and oxyfuel cutting, while incorporating workplace safety and the use and care of tools and equipment. Holmes and Dumond designed a curriculum structured with a duality of classroom instruction and hands-on practice in the shipyard based on the SC Standards for Welding Technology I and II. Dumond added other pertinent lessons, including soft skills, career development, communication skills and financial literacy. Other topics covered in the classroom include basic math and measurement, journal writing and identification of hand tools.